On rare occasions I have the inclination to paraphrase President Richard Nixon who once infamously declared: “I am not a crook.” In my own case, as I reflect on my work as a critic, allow me to simply say, “I am not a crank.” With that as a warning shot across the theatrical bow, let me first give you the good news about the most recent offering in the GEXA Energy Broadway Series at Houston’s Hobby Center. 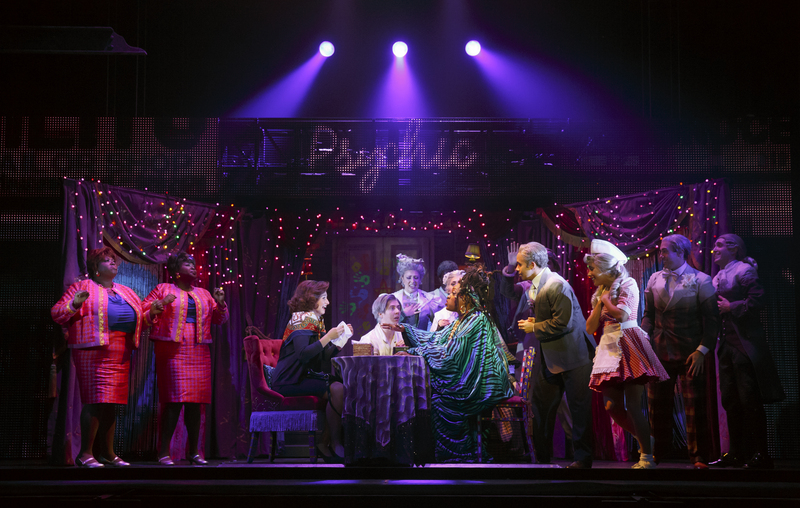 The musical GHOST is one with which I am quite familiar having had the pleasure in 2011 of reviewing the original fascinating production in London. That first edition, while not without its minor flaws, was nevertheless most enjoyable, but more about that later. This current national tour has many of the elements that made the first production successful, but unfortunately it has one thing more. Before getting into that, let me first share the good news. The familiar plot is adapted from the award-winning 1990 film of the same name and starring Patrick Swayze, Demi Moore& Whoopi Goldberg. The enduring popularity of that film assures substantial interest at the box office for this musical version featuring music & lyrics by the team of Dave Stewart & Glen Ballard, book & additional lyrics by Bruce Joel Rubin, and direction by Matthew Warchus. The story line remains much the same, with contemporary young lovers, Sam (Steven Grant Douglas), and Molly (Katie Postonik) setting up their new apartment in Brooklyn. She works as a sculptress, and he commutes into Manhattan where he and his pal Carl (Robby Haltiwanger) are colleagues working in the banking industry. Carl turns out to be not such a good friend, and therein lie the plot twists that result in someone’s death and resurrection as a ghost. 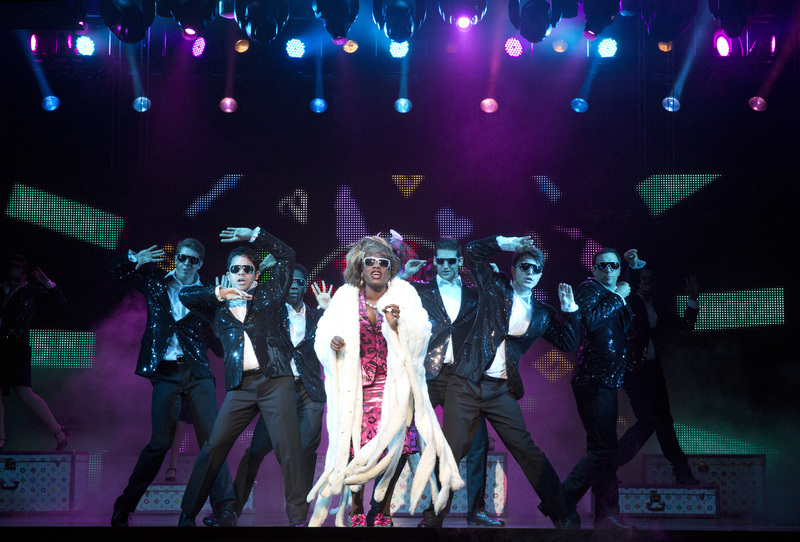 To say more would give away some surprises for future audiences, but it must be added that Carla R. Stewart is a standout in the hilarious role of Oda Mae Brown, the reluctant psychic who is able to communicate with the ghost. Readers may recall this as the role that won Whoopi Goldberg an Academy Award for her performance in the film. 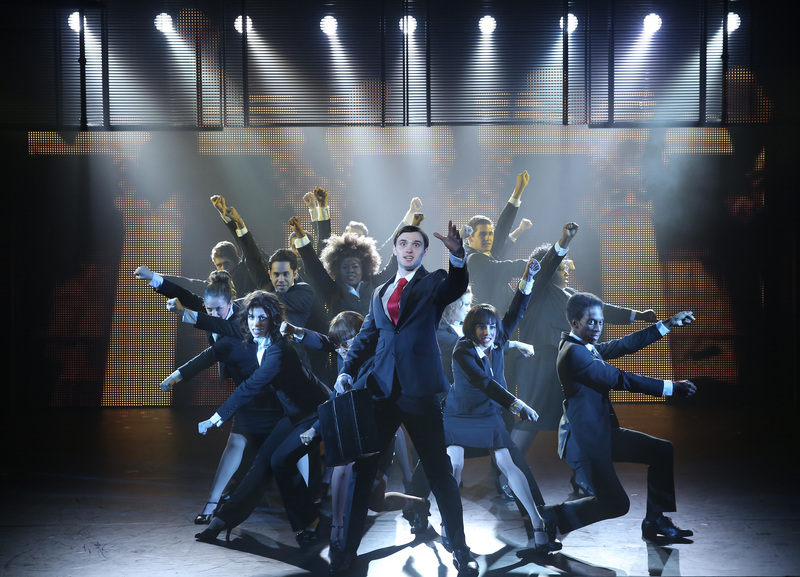 There is a large and energetic dance ensemble that does some fine numbers, many of which have no apparent connection to the plot, though the “More” number that establishes the frantic pace of Wall Street was very creative and particularly well done. (Choreographer, Ashley Wallen). Postonik, Douglas, and Haltiwanger are all attractive players and passable in their roles, but there is not a Broadway-worthy voice among them. That is regrettable because there are some lovely songs in this show that were never properly showcased in this production. Miss Postonik’s voice seemed to exaggerate her character’s justifiable desperation with singing that was too often strident. But there is a larger problem here that quite frankly made me angry. The outrageous, annoying and excessive sound volumes allowed by the audio engineers were simply beyond belief. Lyrics and dialogue were constantly inaudible because of this fatal flaw. This would have been bad news in any event, but it was particularly irritating because these sound problems are becoming more and more commonplace with touring productions at the Hobby Center. It is my belief that these touring sound engineers have already blown out their own eardrums and can no longer hear the distortions they are creating for the audience. When the show ended we found ourselves in a very crowded parking lot elevator with perhaps twenty people. I felt vindicated in my views as I quietly listened to unsuspecting fellow audience members who were unhappily ranting and complaining about how “terribly loud” the production had been. I hope the Hobby Center powers-that-be will look into the problem and do whatever is needed to discourage these tour sound engineers from assaulting our audience sensibilities in the future. 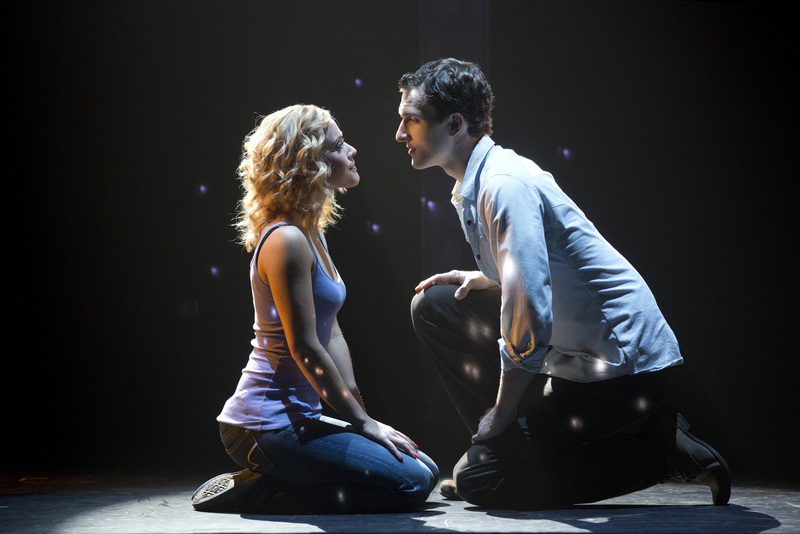 This entry was posted in Broadway, BroadwayStars.com, Conroe Courier, GHOST The Musical, HERE HOUSTON-Lifestyle & Entertainment, HereHouston.com, Houston Community Newspapers online, Houston's Hobby Center, London Theatre, The Courier Columns, The Villager Columns, ThePeoplesCritic.com, YourHoustonNews.com and tagged Broadway, London Theatre, musicals. Bookmark the permalink. The big question I have for you is how long do you think I would have lasted before walking out on that show, even through I always carry ear plugs with me in my wallet! You do your best to sugar coat, but it sounds to me like the audio problems tainted the whole experience. I wonder if the cast members could even hear themselves sing.